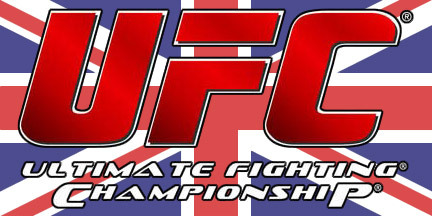 The UFC continues to add fights to the UFC on FUEL TV 5 event scheduled to take place in Nottingham, England. Long-time British middleweight stand-out Tom ‘Kong’ Watson (15-4) has signed a multi-fight deal and will take on former TUF contestant Brad Tavares (8-1) in his promotional debut. Additionally, British welterweight John Maguire (18-3) will face fellow countryman John Hathaway (16-1). UFC officials announced the two bouts today via UFC.com. 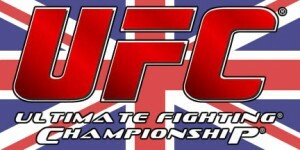 UFC on FUEL TV 5 takes place on September 29 at the Capital FM Arena in Nottingham, England. The event will feature a headline bout between Stipe Miocic and Stefan Struve who take each other on in a heavyweight showdown. The main card will air LIVE on FUEL TV with the prelims scheduled to air on Facebook. Newcomer Tom Watson is currently riding a three fight winning streak, most recently defeating Jack Marshman via second round TKO at BAMMA 9 earlier this year. Prior to that he scored a third round KO win over Murilo “Ninja” Rua in May 2011, and a unanimous decision victory over Alex Reid in September 2010. Brad Tavares last fought at UFC on FUEL TV 3 in May where he scored a unanimous decision victory over Dongi Yang. Prior to that he lost to Aaron Simpson via unanimous decision at UFC 132 in July 2011. John Maguire is currently riding a seven fight winning streak, most recently defeating DaMarques Johnson via submission at the UFC on FUEL TV event which took place in Sweden earlier this year. Prior to that in his UFC debut Maguire scored a unanimous decision victory over Justin Edwards at UFC 138 in November 2011. John Hathaway last competed at UFC on Fox 3 in May where he picked up a unanimous decision victory over Pascal Krauss. Prior to that he defeated Kris McCray via split decision at UFC Fight Night 24, and suffered his first career loss to Mike Pyle via unanimous decision at UFC 120 in October 2010. Stay close to Pro MMA Now (www.prommanow.com) for all the latest UFC on FUEL TV 5 related news.